Le Marché de Noël de Marieville brings together around 20 exhibitors from the region who show their know-how in an enchanting setting. On the site: Santa Claus in the open-air, small train tours and animations to get in the atmosphere of the holiday season. Welcome to the whole family! Cider, wine, country craft products, jewelry, Christmas trees, books, children’s toys, shows, entertainment and Santa Claus with the Winter Fairy Queen. Boutique. Tastings. Picnic area. Animals allowed. Carriage rides. Entertainment, shows, activities with Santa Claus and the Winter Fairy Queen. More information about the Activities program to come (in French only). Free for all activities at Édouard-Crevier park. 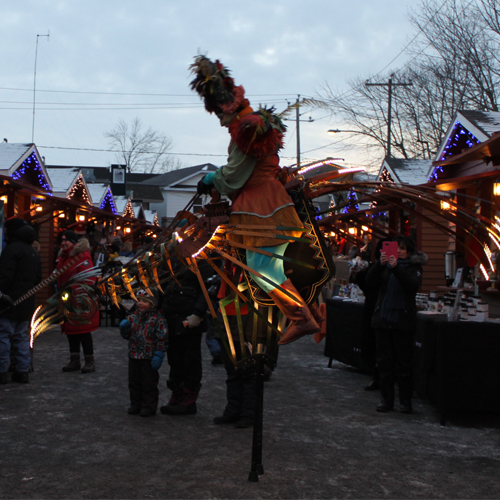 https://tourismecoeurmonteregie.ca/wp-content/uploads/2016/05/photo-500-x-500.jpg Marché de Noël de Marieville Le Marché de Noël de Marieville brings together around 20 exhibitors from the region who show their know-how in an enchanting setting. On the site: Santa Claus in the open-air, small train tours and animations to get in the atmosphere of the holiday season. Welcome to the whole family!